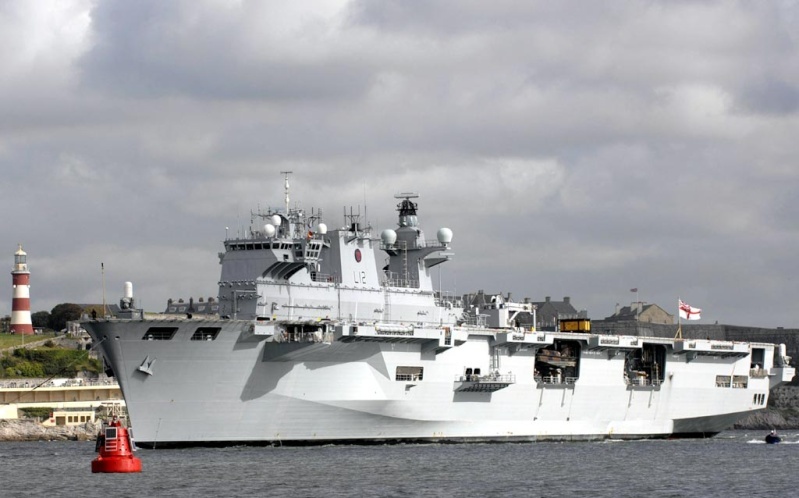 The Royal Navy's largest warship HMS Ocean returned to her home base of Devonport, Plymouth, yesterday after two very successful weeks conducting trials at sea in home waters following a major upgrade. A £30m investment in the ship and 14 months in the hands of Babcock Marine in HM Naval Base Devonport has maintained the commando carrier at the sharp end of the Royal Navy’s capability after ten years’ service. The trials in south west waters are designed to test that the ships systems and weapons work perfectly after improvements and upgrades and the amphibious warfare ship will continue her programme in the region after passing the first round. First the crew had to be tested in their ability to keep the ship safe from the potential hazards of being at sea, such as fire, floods and navigational risks. This involved a team of experts from the Flag Officer Sea Training (FOST) organisation joining the ship to put the crew through their paces. The crew passed with flying colours and impressed the sea training staff with their enthusiasm and commitment. 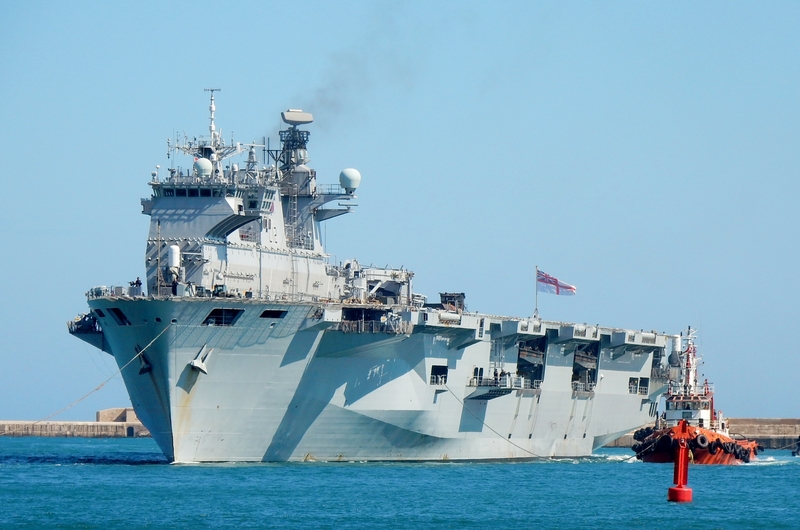 “HMS Ocean has come a very long way in the last two months. When we moved back onboard in July the size and scope of the work yet to be completed was daunting. The crew and Babcock Marine have made tremendous progress, often working through the night with grit and determination to get the ship operational again on time. I am looking forward to the next stage when the sea training staff will come onboard again and this time help us to train not just to operate, but how to work as a fighting unit – to ‘fight the ship’. Following the assessment of the safety aspects, the ship then concentrated on material issues, ensuring the engines and diesel generators worked under various conditions. Radar systems were tested for accuracy and all guns test-fired, including the ‘Phalanx’ radar controlled multi-barrelled cannon which successfully obliterated a target towed by an aircraft with its 3000 rounds-per-minute rate of fire. 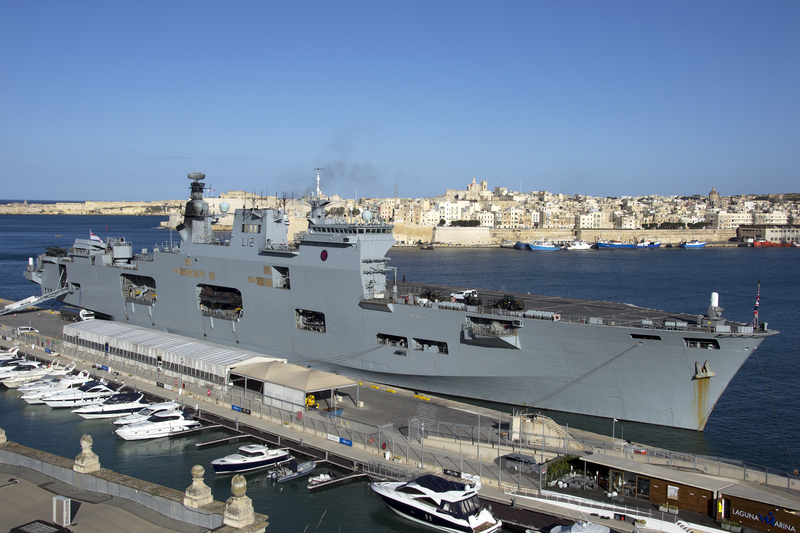 After only a brief respite, HMS Ocean will return to sea again to resume her programme of sea trials before embarking on operational sea training in November – the next step up from basic sea training under FOST. "bouteille à la mer" a connu son apothéose lors de la découverte de la bouteille lancée par nos marins en 1957 quelque part dans l'atlantique nord et retrouvée une quarantaine d'année plus tard par une jeune fille islandaise. ,ayant bien connus "La Jeanne" je serais curieux de connaître l'évolution des bâtiments répertoriés "porte hélicoptère", celui ci étant déjà interpellent. Je croix que "La Royale" a également commissionné un porte hélico si il y a des infos, tj bon d' en savoir plus.